By the standard of some years it's been a pretty dry winter, so it seems that mud-lovers everywhere have been eyeing up the Eider to provide some watery mayhem. And it hasn't disappointed; 4.0 on the going stick equals a slog-fest, where just to finish counts as an achievement. In years like this, there's a nice criteria I've used to narrow the field; aged 8 to 11yo, weight 11-00+, OR 123 to 138 and no claiming rider. In the 9 wettest renewals this century those filters have thrown up 8 winners from just 31 qualifiers, and a further 6 placed. The only snag is this year with every mud-hound around turning up, there are no less than 10 qualifiers, so it's not much help. The market likes Shotgun Paddy - we all know his form credentials and it's hard to argue that a rating of 137 isn't tempting. He looks solid for the frame, probably a shot to nothing. He's only 10yo, has been around forever but wisely campaigned. He sets a quality standard. Bit of a downside though to back a favourite without a win since 2014. Almost as likely to run well is Russe Blanc, who has been laid out by Kerry Lee. A past winner of the 3.5 mile Grade 3 Classic handicap chase at Warwick, he's back on the right sort of mark and had a nice tune up at Carlisle under Brian Hughes. I couldn't put you off. However it's such an open-feeling race, with a number of possible improvers, I think you could tie yourself up in knots with savers and I'd rather just take a small interest at a price. BEREA BORU fits the bill. He's a mud-lover, a likely improver and shapes like an out and out stayer. They tried him over 4 miles in the Scottish National but that race is typically too quick for him. This looks a much better idea. The yard are almost certainly giving it maximum effort. Peter Bowen has a habit of reaching for first time visor/blinkers with much success in staying chases. His last 14 such runners over trips of 3m1fl+ since 2010, have produced 6 wins and 2 placed. Given this, I'd say despite the attention of Pricewise, the current quote of 14/1 looks OK. 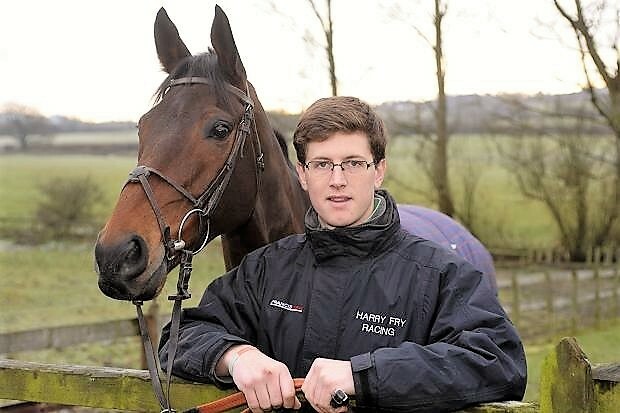 Shotgun Paddy - can anyone beat this lad in the Eider Chase? A race that can be run in bottomless conditions, it's been dry all week and this year's renewal is due to take place on ground described at good to soft. At Haydock that usually means it will be pretty dead and a decent test, but much will depend on how far the course has dried out. 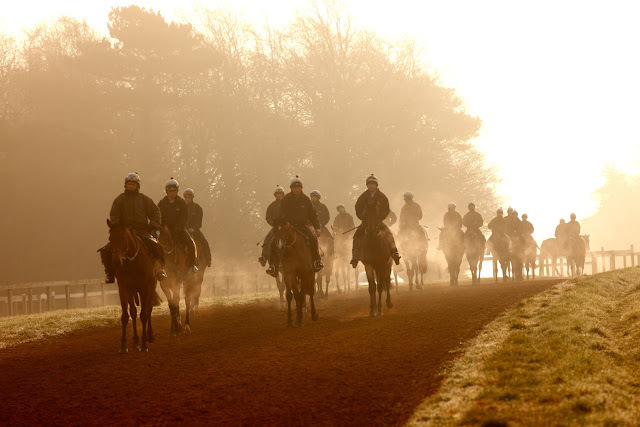 Setting aside renewals run on extremes of going, winners this century break down into 2 camps: unexposed runners with 3 to 6 previous chase starts and further up the road, low mileage, proven high class stayers with 10 to 14 chase runs. Age is immaterial, but whichever camp you choose it often pays to shoulder less than 10-12. Since 2000, if you backed everything blindly that met these criteria and went off up to 16/1, you would be circa. 9 wins from 29 qualifiers, LSP of +£63.00. There's only one qualifier this year, our pal VINTAGE CLOUDS - last seen running (and falling) with credit in the Peter Marsh Chase. That runs needs marking up as he was 6lbs out of the handicap and raced prominently throughout, which in hindsight was a classy effort going with Bristol De Mai and Otago Trail, who has already come out and posted an RPR of 162 on next start. 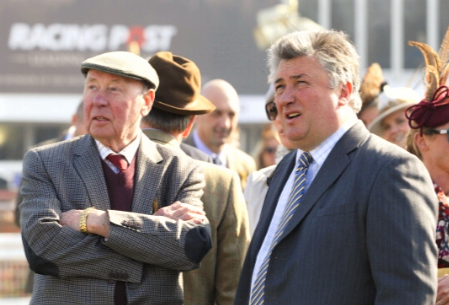 Of the higher weights I am also quite sweet on VINCENTE for Paul Nicholls and Sam Twiston-Davies. Vincente fits the low mileage, proven high class stayer mould - he won the Scottish National last year - and is fully fit after three starts this season, and now the National weights have been published the handbrake can come off. Properly high class horses do successfully carry more than 11-00 and Vincente who prefers decent ground gives us some cover if the course has dried out more than assumed. As I write this it's hard to know if Newbury will be on today, and with just 16 declared the Betfair Hurdle seems destined to only pay to 3 places which dampens my ardour. But in any case it's due to be very cold, so last night I took the pragmatic decision to have a look round the all-weather cards and after a bit of digging I did notice a little nugget of interest. With only five declared and three in with a more obvious chance for this decent Lingfield handicap, the market isn't really sure what to make of it - there's only currently 2% overround on the best book, so the prices are certainly fair and I think 9/4 about C&D winner MUNRO understates his chance. Munro won well on his last visit here in a class 4 for in-form R Beckett. You can put a line through his next run where he tackled mission impossible in a conditions race at Kempton, ending up circa. 20 lbs wrong with the 1st and 2nd home from the worst draw. He drops back here into a class 3 against much lesser opposition, with the form of his 2 wins having worked out particularly well. He also arrives as one of the least exposed. Moreover, from a stats perspective, R Beckett's record with C&D winners at this venue is attractive. Looking at all his C&D runners on the Lingfield polytrack over the past decade, he is 5 wins from 14, for a blind LSP of +3.95. All the winners coming since 2012 and, crucially, winning with 3 of the last 4. All things considered, I think Munro should be clear favourite. On my tissue he'd be around 6/4 and certainly no higher than 15/8. Adam Kirby does the steering. A really good competitive staying hurdle, and given it's run at Sandown at the beginning of February, invariably run in pretty testing conditions, so it's no surprise that over the years weight has proved a crucial factor. 13 of the last 14 winners carried no more than 10-12, including every winner since 2005. In fact over that time, if you just blindly backed every runner up to 20/1 SP, with 10-12 or less (up to 10-y-o), you would be 13 wins from 89 qualifiers, +34.38pts LSP. Looking at this years' field, if we assume Ballyculla will start above 20/1 that leaves; Fountains Windfall, Lord Of The Island, Fortunate George, Desert Sensation & Behind Time and it's the latter that interests me - especially as lightly-raced improvers have a particularly good record. Qualifiers with up to 5 previous career starts over hurdles are 6 wins from 22, but that improves to 5 wins from 12 (41.67% SR), when starting in the first 3 in the betting - 3 from 3 when going off favourite. Suddenly odds circa 5/1, don't seem quite so bad. 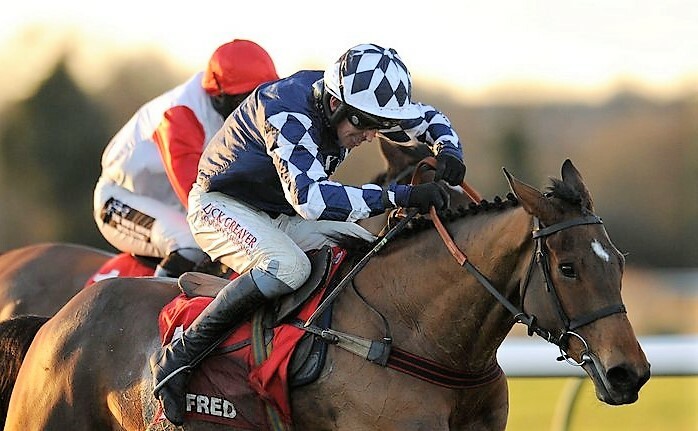 BEHIND TIME was a revelation on seasonal reappearance at Cheltenham in November. Seeing off a field who mostly held a fitness advantage, he stayed on strongly and won with plenty in hand on testing ground over 21fl. 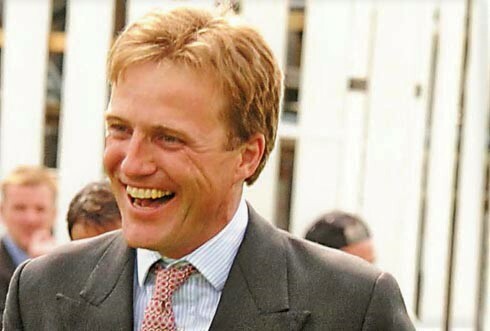 That was the same race which his trainer Harry Fry had the year before unleashed Unowhatimeanharry for the same connections, so it's perhaps no surprise the 2nd, 3rd and 4th have all come out and won since. Turned out quickly, Behind Time bounced 12 days later and has been given plenty of time but he is undoubtedly a lot better than that and could well prove to be a stayer going places. Harry Fry has found an ideal looking target, with the 6-y-o bred to relish the step up to a testing 3 miles on soft, a stiff finish is exactly what he needs and the money has been pouring in this morning. ** Feedback: The 5 on our shortlist finished 1st, 2nd, 3rd, 5th & 6th...if you'd backed all 5 you would have returned +6pts on the day. Without a doubt the way to narrow the field in this race, roll on 2018..."